Marc Marquez must be feeling on top of the world as he heads into the German MotoGP at the Sachsenring. To say the Repsol Honda rider owns the Sachsenring would also be pretty accurate as the Spaniard has won the last five MotoGP races at the circuit. That is why our odds have Marquez at 1/2 to make it six victories in a row. 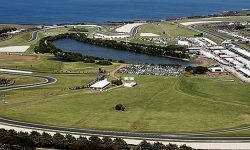 Having ended fellow Spaniard Jorge Lorenzo’s win streak at two last time out Marquez’s confidence must be sky high as he continues his bid to retain the MotoGP title. Not only did his win at Assen stop Lorenzo’s victory charge in its tracks, it also laid down a marker as the two fellow countrymen will be team-mates at Honda next season. Lorenzo is second favourite to win in Germany at 5/1 with his current factory Ducati team-mate Andrea Dovizioso 9/1 along with Movistar Yamaha’s Valentino Rossi. 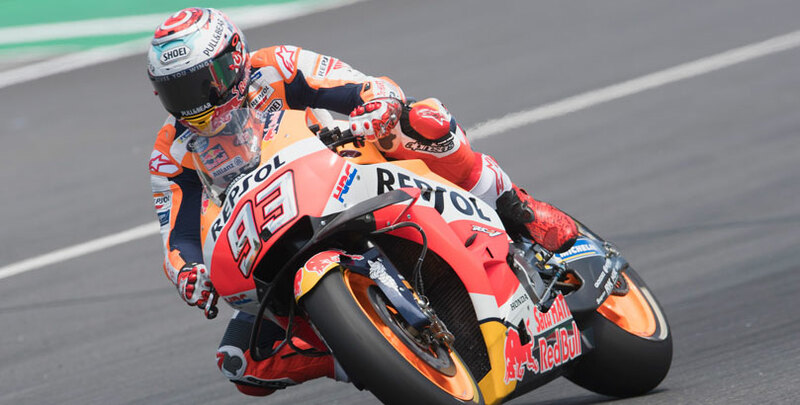 Marquez’s team-mate Dani Pedrosa is 12/1 to make a long overdue return to the top step of the podium, something he last did at the Sachsenring in 2012 before the current world champion began his remarkable winning run at German circuit. Rossi’s team-mate Maverick Vinales will be keen to turn his third place at Assen into a victory as he bids to get back to the sort of form he showed at the beginning of last season. Another Spanish rider hoping to switch places with Marquez on the podium is Alex Rins, the Suzuki Ecstar rider having secured a fine runner-up spot in Holland as he continues to shine in the premier class after learning his trade in the lower racing categories. Priced at 40/1 Rins would certainly give a good return if he could take a surprise victory at the Sachsenring. 1 Marc Marquez (Honda), 2 Alex Rins (Suzuki), 3 Maverick Vinales (Yamaha), 4 Andrea Dovizioso (Ducati), 5 Valentino Rossi (Yamaha), 6 Cal Crutchlow (Honda), 7 Jorge Lorenzo (Ducati), 8 Johann Zarco (Yamaha), 9 Alvaro Bautista (Ducati), 10 Jack Miller (Ducati), 11 Andrea Iannone (Suzuki), 12 Pol Espargaro (KTM), 13 Aleix Espargaro (Aprilia), 14 Scott Redding (Aprilia), 15 Dani Pedrosa (Honda), 16 Tito Rabat (Ducati), 17 Bradley Smith (KTM), 18 Hafizh Syahrin (Yamaha), 19 Takaaki Nakagami (Honda), 20 Thomas Luthi (Honda), DNF Danilo Petrucci (Ducati), Xavier Simeon (Ducati), Karel Abraham (Ducati). 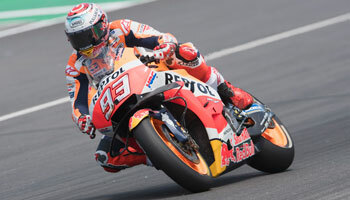 Marquez’s victory at Assen showed just why the Spaniard is regarded as the finest MotoGP racer at this time. The Spaniard battled it out with Lorenzo, Dovizioso, Vinales and Rossi before finally taking victory in a race which could have been won by any one of a leading group of six riders. Ducati team-mates Lorenzo and Dovizioso took the battle to Marquez before Vinales also had a turn at the front. 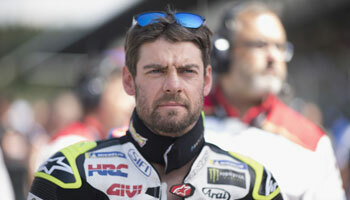 All the while Rossi remained in touch and waited for his chance to make a decisive move. A late mistake by Marquez as he passed Vinales allowed Dovizioso and Rossi past but as his rivals battled each other Marquez was able to pull away. In the closing laps Rins was able to claim second ahead of Vinales, with Dovizioso fourth from Rossi and Cal Crutchlow on the LCR Honda. Lorenzo came home seventh ahead of the Monster Yamaha Tech 3 machine of Johann Zarco in eighth, ninth went to Alvaro Bautista on the satellite Ducati and Jack Miller (Ducati) completed the top 10 in a race which saw all of the leading contenders complete the full distance. Stay close to the action with the bwin app. Access more markets than any other betting provider and scan our in-depth motorbikes statistics menu to find and make your bet selections fast. Download now the best betting app.